For my money, Kershaw Knives are some of the best pocket knives available today. In my opinion the best kershaw edc knives are the simple ones. They look great and are highly functional. You’ll notice that they don’t make just pocket knives. They also make sporting knives, self defense knives, kitchen cutlery and even scissors. 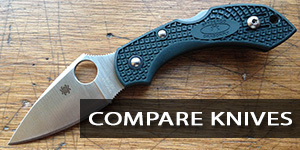 Kershaw knives is 100% devoted to making the perfect blade, in any form necessary. Kershaw is obsessed with making high-quality, sharp tools. Plain and simple. They have a wide array of products, but I’ve narrowed down just the top 5. First, let’s talk about the man and legend - Pete Kershaw. Like any man with a dream, Pete Kershaw had to be a little crazy. He laid everything on the line and left his job in 1974 at Legendary Blade Company in order to make his own knives - because he knew he could do it best. All of Kershaw’s knives are crafted solid and tough - even the inexpensive ones - so that you don’t have to trade price for quality. Kershaw brand knives are made in the USA - at their facility in Tualatin, Oregon. At this facility, Kershaw Knives have invented a ton of technologies that are standard in knives today. We’re starting this list out with a bang. You may think “Leek” is a strange name for a knife. You aren’t wrong. The name comes from Ken Onion - a legendary knife designer and innovator. 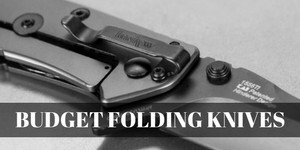 While he was the lead designer at Kershaw, he invented the “SpeedSafe” assisted opening technology, which has made Kershaw Knives famous. This pocket-knife is perhaps the perfect EDC knife. The blade is a cool 3” and the whole knife has a bead-blasted finish. The knife is beautiful - made completely out of stainless steel. Along with the SpeedSafe technology, the knife also comes with an ambidextrous thumb stud, making it ideal for anyone. The Kershaw Clash is one of the highest selling knives on Amazon. That alone should tell you what kind of reputation it has. The Kershaw Clash, like most knives from this company, boasts the SpeedSafe assisted technology, which makes this easy to use and quick to “draw.” The blade is a standard 3.1 inches, and the handle is made from glass-injected nylon. The size and grip of this knife make it a perfect EDC knife. The Clash is so popular that Kershaw makes it in two different styles - straight edge blade for everyday use, or serrated blade for tougher jobs. The Kershaw Blur is another blade designed by Ken Onion, so you know it’s a quality product. This model has become an iconic product for Kershaw - and with good reason. This blade is made from Sandvik 14C28N steel, one of the best budget steels on the market. This means it’s tough, but boasts that Kershaw value that we love. It also has Trac-Tec Grip Tape on the handle. Not only is it tough, but it’s easy to handle - making it a fantastic pocket-knife. This is the perfect Kershaw knife for people who demand more from their pocket knife. If you need big and tough, this is the best value knife on the market. Not only that, but the knife is gorgeous. The blade on the Cyro 2 is 3.25” long, making it better for self-defense than the others on the list. It’s all metal construction makes it sturdy and heavy - perfect for those harder utility jobs. Despite its longer blade, it’s still a good sized blade to carry in your pocket. The Cryo series from Kershaw are perhaps a few of the better budget pocket kniv﻿﻿﻿es available today. With a name like Brawler - you can probably guess what they had in mind while building this piece. This is Kershaw’s best knife all around, in my opinion. Sure, you can spend more money, but can you get a better value? This knife has a 3” Tonto blade, which is pointed and perfect for tactical and rescue use, not to mention self-defense. Combined with the fact that it’s under 5 ounces, this may just be the perfect utility and EDC blade. There you have it, the top 5 best Kershaw edc knives on the market. If you’re looking for the best value EDC or utility pocket-knives on the market, you’re sure to find one that fits your needs with these Kershaw EDC Knives.